Defenders of Ardania Review - This Is My Joystick! It seems that Tower Defence is going through something of a purple patch at the moment, with social networking sites and modern-day smartphones seemingly a perfect platform for the genre. In a world where “quick fix” gaming is rife, the two seem to make perfect bedfellows, and titles like PopCap’s Plants Vs Zombies can match some of the world’s best puzzlers in terms of mixing a fairly simple concept with addictive gameplay. In the world of home consoles, however, the stakes are higher. The competition for gamers’ play time comes up against the industry’s big hitters, which can totally immerse you in their sprawling worlds with well-structured storylines and breathtaking visuals. Having said that, I am rather partial to a bit of Tower Defence and I was quite keen to get my hands on Most Wanted Entertainment’s latest offering: Defenders of Ardania. Especially when I saw the press release that added it would “include light RTS elements.” What could be better, right? You take the role of the King of Majesty and face a revolt, in every sense of the word. Ancient evils are stirring, and a vast army of the undead is looking to take over your realm. 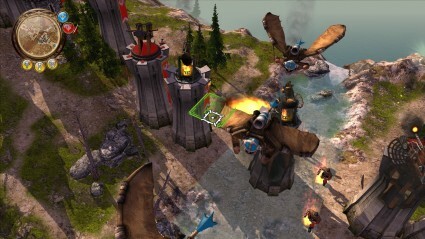 You need to use all your defensive skills over various levels to protect the kingdom from the oncoming waves. Along the way you will meet, defeat, protect and ultimately join forces with wizards, dwarves and elves. 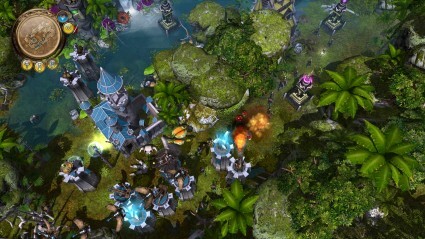 RTS elements come from the addition of attacking options. Having built towers up to protect your base, you also have the option of a number of attacking units to launch a wave at your opponent as you take the fight to the undead. Each level has the ultimate goal of you destroying the base of an opponent, but there are various objectives that you’ll need to meet along the way; such as protecting an ally. This is easier said than done, and at one stage early on, borders on the ridiculous. You have to keep minotaurs away from Zagadu the Wizard for three minutes, and the only way to succeed is to destroy the minotaur base first. Despite the option of bounties (X) and waypoints (Y), your units will continue to simply march forward and walk straight past enemies on the ground rather than defending the area. So much for RTS elements. As with all Tower Defence games, the general basics are very simple; build towers to protect your base. This is done by pressing A on an appropriate square to bring up the tower menu, with a second press used to deploy your chosen tower. The game board is made up of squares, with some squares offering a bonus to the person who occupies it, like increased revenue. Not all squares are available to place towers though, with some reserved for a particular faction or just being uninhabitable. Where's Repunzel when you need her? There is a simple key to help here, with green squares being available, white being neutral(which could become available) and red being unavailable. Light blue squares are special ones that might increase your firing range or resource pot, and a tap of the right bumper will switch the map grid on or off to make things easier for you. The waves will always take the most direct route to a base, so the placing of towers is a key strategic element. You’ll want to cover the route without blocking it, and bear in mind that the different towers on offer will be more effective against different types of enemies. Choosing the make-up of your own waves is also a very strategic mechanic and will require you to think about the towers they will pass en-route. Speaking of your waves, Pressing up on the D-Pad will open the Unit Wave menu, where you can see the different units you have at your disposal and build your attacking waves. 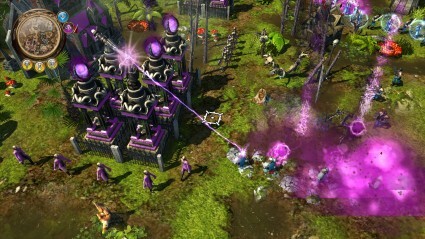 Initially you’ll be limited to the basic human factions, but as you progress through the campaign you will unlock Heroes, which are almost indestructible versions of the standard units; as well as the allies of Dwarf, Wizard and Elf which are all slightly elevated in both effectiveness and cost from the standard humans. Selecting a unit for your wave is done with A, there is an option to fill your wave with a chosen unit by pressing LB, and pressing X launches the wave as is. Is it a bird? Is it a plane? No, it's a flying dwarfythingemy. The other aspect of all TD games is resources. Both the towers and the attacking units will cost you, and resources are gained by wiping out the enemy’s units and towers, with time elapsed surviving or by reaching and attacking the enemy base. In addition to the towers and waves there is also a bonus menu, that allows you to purchase various upgrades such as cheaper towers, bigger waves, and a larger resource pot so you can gain more resources to name a few. As with the other aspects, choosing what and when to invest here will be key to success. Besides the primary campaign there is an additional Skirmish option that lets you choose between simply replaying the levels you have completed or attacking them in Survival mode. 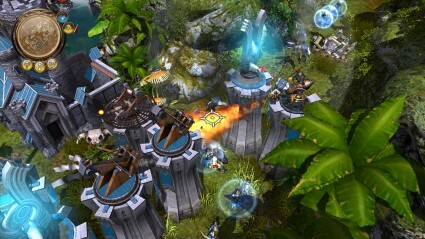 Here you lose your attacking options, and the game resorts to pure Tower Defence mechanics. Another mode is Limited Resources, which is the same as the campaign but resources don’t replenish as they would normally, so you can only use your starting allocation. Defenders of Ardania takes a fairly cartoony graphical style that sits firmly in the realms of fantasy. This starts in the menus, where the details are displayed in the form of an ancient book, and progresses to the level select campaign map which could have been lifted straight from a fantasy novel with the style and little icons marking the different regions. The loading screens are also a positive (thankfully, as you’ll spend a lot of time looking at them), with some very well-drawn stills that follow the same theme and add to the overall feel of an epic fantasy universe. Ha, you will never escape my purple laser machine! Unfortunately, once the levels load a lot of this work is undone. The in-game graphics aren’t bad, per se; they just aren’t good. The towers all look very similar, and on your side at least, are very bland. The waves, which at various times might consist of animals, wizards, undead, and basic human soldiers, amble along with no real distinction or style. The maps themselves are also fairly basic and often feel a little lifeless. On top of that there is a considerable amount of button lag and slowdown that certainly doesn’t help with getting immersed in the world, and that’s before you utilise the advance time option to speed proceedings up a bit. The visual effects of towers going down or fighters on either side being killed are also hugely underwhelming given the idea of a kingdom called Majesty. The audio follows a similar theme with a backing track that mixes pipes and strings in true fantasy movie fashion. Unfortunately it’s pretty samey throughout, and can become a bit repetitive and annoying after a while. Even worse, the sound effects are pretty brash and basic, with some low-key explosions and frankly awful sound effects. The crossbow firing tower sounds more like chopping trees, and the wizard fire is best described as a pigeon on acid. To top it all off, DoA has probably got the worst voice-acting I have ever witnessed in a game. Your main guide does the worst impression of Sean Connery ever, while the Elven leader sounds like my ninety-three year old Gran after a long walk. 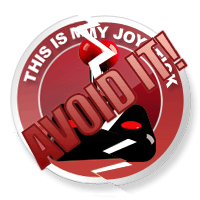 The vast majority of talking is done in loading screens and tutorials so skipping is not always easy, but it is possible with a press of the B button. More than likely though, you’ll just do the sensible thing and turn the voice volume down to zero in the menu. DoA offers three multiplayer match types. Free For All allows up to four players to battle against each other; 2 on 2 is self explanatory; and Team Survival sees you and an ally take on two AI armies. Unfortunately, in my review time with the game I have failed to find a single match of any kind despite spending hours trying. Defenders of Ardania dares to push the boundaries of a tried-and-trusted formula, and for this it has to be truly applauded. I welcome the addition of attacking options, which on the face of it are a minor detail, but add a pleasant mix to the gameplay. The alternative play modes of Survival and Limited Resources also give good reason to replay once the main campaign is done. However, all this good work and positivity is undone by the poor execution. The load times are frustratingly long, and in my time with the game I have experienced more than a few instances where my Xbox has crashed completely while loading a level. The button lag is, at times, so bad that your enemy will launch two waves before you have deployed a single tower. Building a wave might take a few minutes, which in a game of this ilk is the difference between success and failure. What’s more, the graphics are average and the sound is awful. Finally, despite the promise of some good Online modes, there is simply no community to generate matches; so you will be left twiddling your thumbs or returning to the flawed single-player campaign.